What causes cultural change? What will be some consequences of current societal practices? 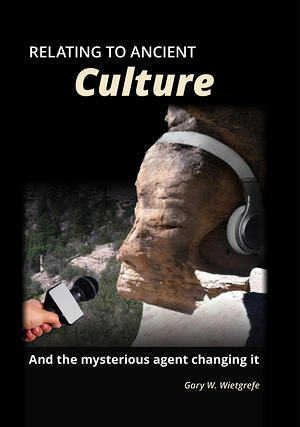 These and other subjects are explored by Gary Wietgrefe (pronounced wit grif) in Relating to Ancient Culture and the mysterious agent changing it. Ancient life followed nature. A culture can only develop as its educated are gainfully employed. Early cultural awareness starts at home. At what age do parents give children responsibility? If it is at college graduation, they are two decades too late. Dependency is taught. Why were teenagers old enough to work eight hundred years ago, but not today? Based on the historical accomplishments of people whose lives were half the current lifespan, we wean later, learn slower, and are less mentally developed upon entering adulthood. Team approach is often preferred over individual initiative. Innovation has slowed since the 1960s as the adoption rate of technology has quickened. Fascination with technological gadgets has replaced intellectual pursuit.